You want your hair to grow out long and luminous but things are moving at a glacial pace. What's a girl to do? The usual treatments aren't working and you want your hair to grow out fast. The answer falls within the health of your hair! It's all about maintaining healthy locks. Learn how to work on the health of your hair below! Massage Your Scalp- A good scalp massager will help the health of your scalp by loosening dead skin cells and oily build up. How often do you focus on the health of your scalp? I know I never think of all the product build-up that ends up on my scalp! This will help loosen rejuvenate your scalp and help your hair grow nice and long! Take the Right Supplements- Improve your hair growth by taking care of your insides! Eating right does wonders for your body overall. Green veggies packed full of vitamins help the health of your hair and the rest of your body as well. I personally love taking B Vitamins, especially Folic Acid. Try a B Complex vitamin on the daily and see the improvement of your locks! 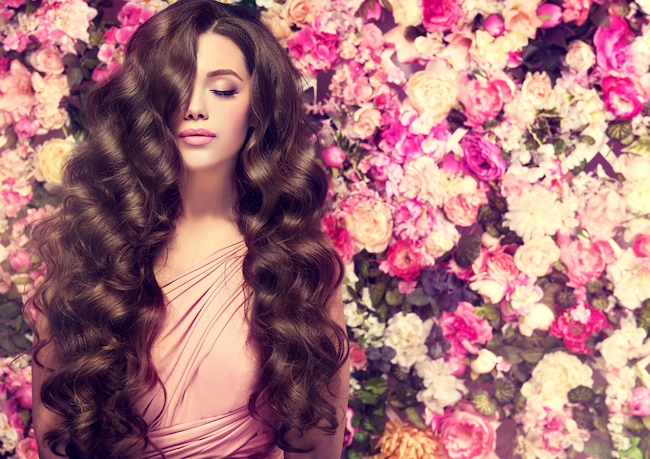 Moisture, Moisture, Moisture- So the growth of your hair depends on the health of your hair. You want to keep it looking good, especially if you have processed hair. That's where products like hair masks and Aragon-infused products come in. These kinds of products are packed full of good stuff to keep the health of your hair intact and help it grow.